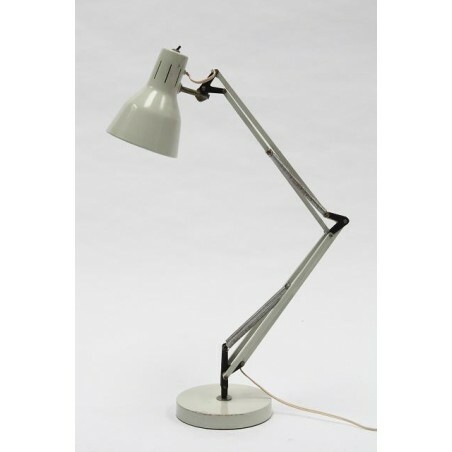 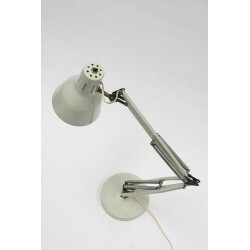 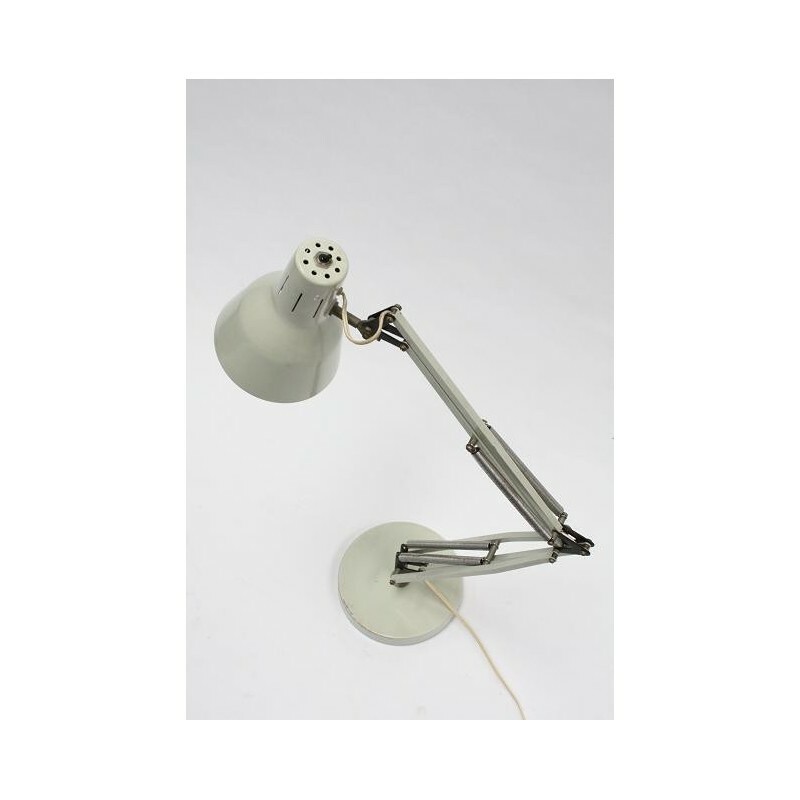 Vintage architects table lamp, probably from the Dutch brand Hala. 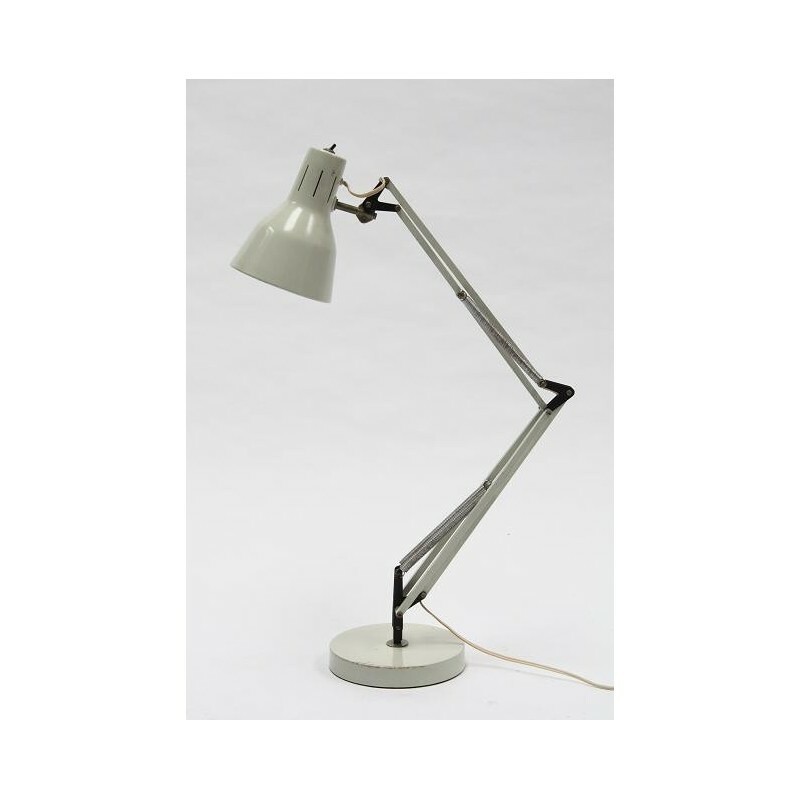 The lamp is in a good condition given it's age. 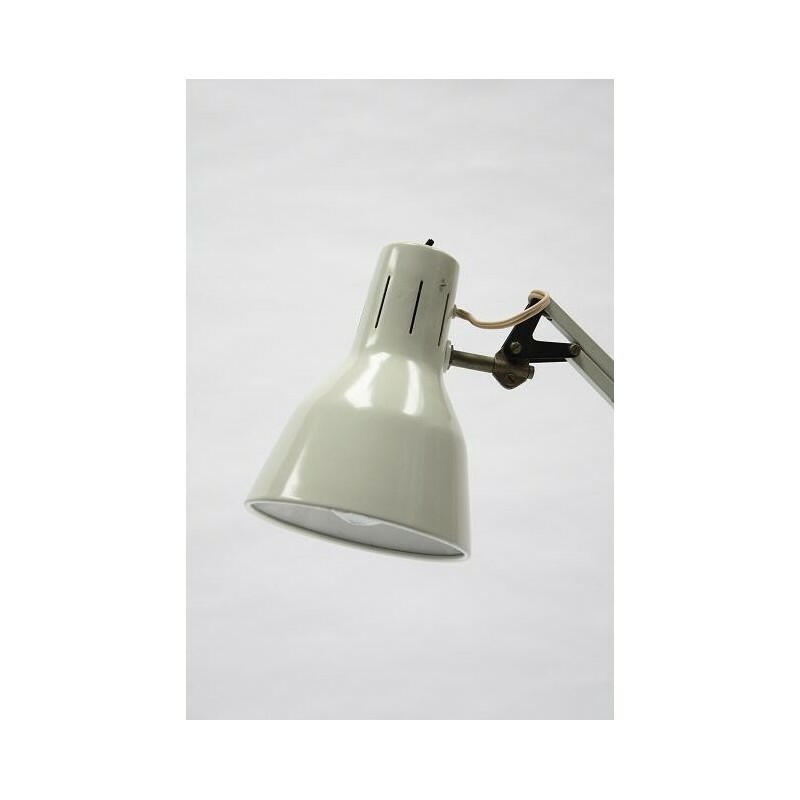 The height is maximium 80 cm, the width of the shade is 14 cm.